So we spent all last week in Las Vegas at the National Association of Broadcasters convention. Andy was there for work and I was his booth bunny. Andy has been going to this thing for the last 10 years, so I have always been curious. Well now I know. The conference is full of really amazingly cool technology for which I have very little interest. What was great was seeing Andy in his element. My husband is a video encoding rock star. Yup he is. Also because he lives his life pretty publicly (via twitter, facebook, foursquare, instagram, flickr etc.) I had several strangers recognize me and offer congrats on the adoption. YAY. It was pretty cool. Andy was also interviewed by TwitTv twice and I got to watch my husband be all professional and on TV. Again, it was very impressive. Andy’s company is located in Canada and I have never met it colleagues, it was fun hanging out with super polite Canadians. They tried to convince me that the Canadian clock used the metric system. Jinxy Canadians. That is a photo of Andy on TwitTV. The other man in the photo is a friend of Andy’s NOT the person mentioned in the story below. Andy looks handsome on TV. We also got to see many of Andy’s old co-workers from his past. I was SO happy to see the folks from his North Carolina job. I was so fond of them and that was a particularly happy time in our lives. Now here comes the story. Now, I am a sensitive girl. I know i need to toughen up, but I am also funny (at least I think I am) and have a pretty darn good sense of humor. 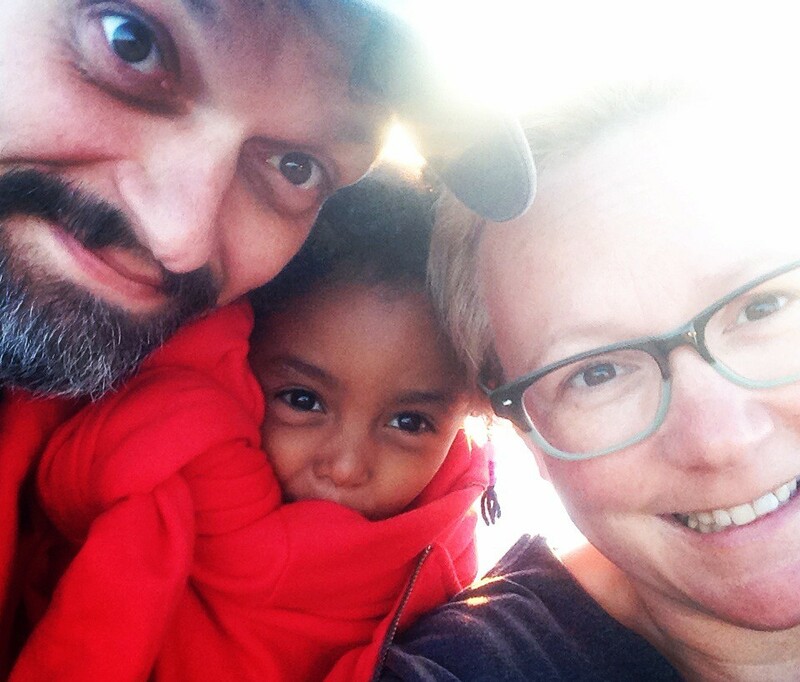 The story I am going to tell might be the BEST and MOST hilarious reaction to our adoption EVER. Now I am a much better talker then writer, so if this doesn’t translate- or offends- please forgive me. -He wrote a children’s book call THE BLOODY HAND, yup for kids. THE BLOODY HAND!!! So this should give you an image of a man for whom social norms mean nothing. I have to say that (because I never worked with him) I love him. He is a lot of fun and you have to take everything he says with a grain of salt. We totally bumped into each other. I gave him a giant hug, it was so fun seeing him. We did a quick catch up. He is still in sales, living in the same town, kids are doing great etc, etc. My husband and I are laughing hysterically…..great story…. Yes, BEST adoption story ever!!! Too funny.